Don’t worry. I’m off the cocktail train for a little while. I’m back to my beloved grapes! Especially the ones that are affordable and delicious. So get your wallets ready to hold on to some of that cash, and get ready for a crazy, yummy bottle of vino. Let me clarify. The crazy is about the actual bottle. The yummy is about what’s inside. It was a lovely color for a rosé, and I am always up for trying a new pink. But wait, I have to stop myself there. This is not just a “rosé”. This is a Vin Gris, made in the traditional vin gris style. If you’ll remember back when I reviewed Chateau du Campuget, I talked about how rosés were made by leaving the skins in with the juice for a limited amount of time. 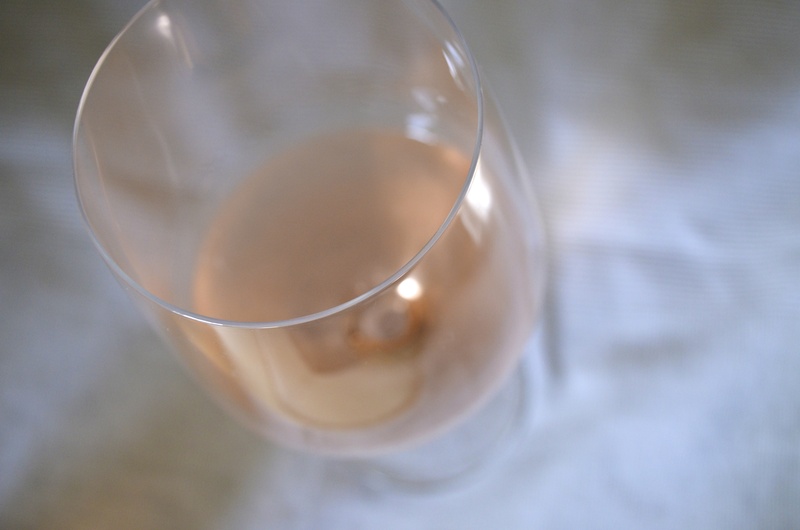 With Vin Gris, the grapes are pressed and juice starts to ferment without any additional skin contact. Because some of the grape varietals were red, their juice has a slight pink tint to it. This is sometimes (but not in bonny doon’s case!) done first to create the Vin Gris, and then the rest of the pressing can be used with the skins to make their own red wine. 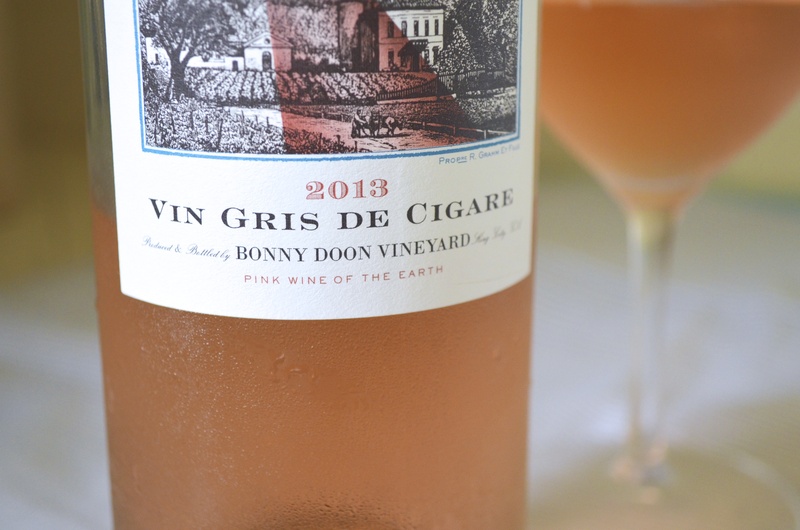 I found this lovely vin gris, so I picked up a bottle (actually two). I head over to the counter and set my purchases on the counter. A couple of weeks ago, I grabbed a few bottles of wine while grocery shopping. 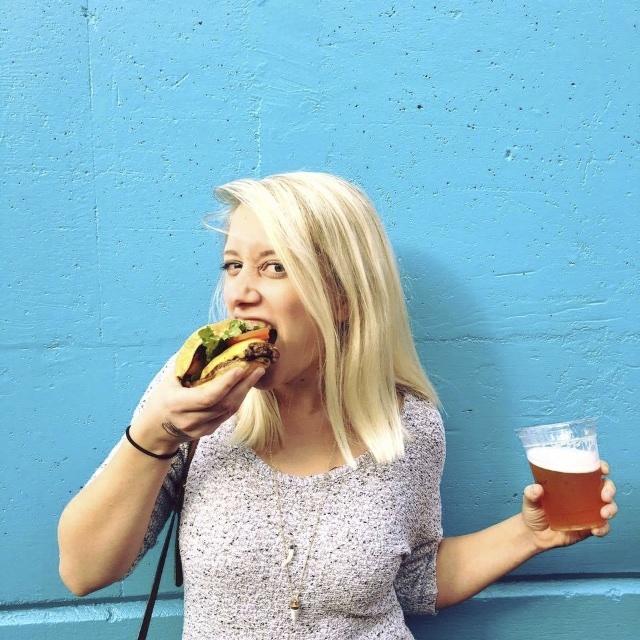 I figured I’d try something new – something affordable – and if it was any good, I’d write about it for you. Before I even got up to pay, two different people stopped to tell me they loved one of the bottles I chose. One of them even told me the whole Joel Gott line was incredible and I couldn’t go wrong – Cabernet to Sauvignon Blanc. I figured I was on the right track. 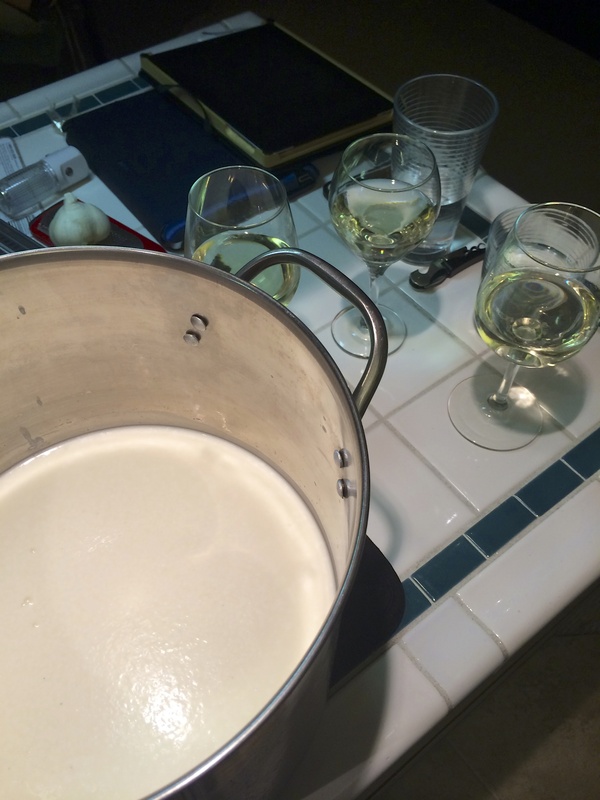 …until the parents were in town and we needed a little bit of white wine to make that homemade pizza dough. 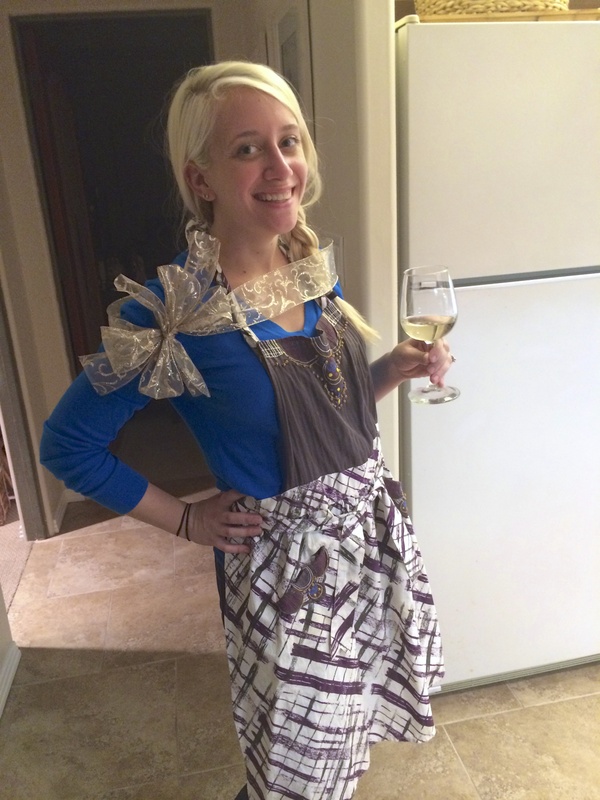 I figured we could spare a few tablespoons, and then all taste this affordable wine together. Fun fact! Pinot Grigio and Pinot Gris are made from the same grape. They are different styles of the same wine – Pinot Grigio being the Northern Italian version that is crisp, clean, dry, and light. Pinot Gris usually refers to the style of the wine coming from the Alsace region of France, which is more rich and almost sweet – think spicy tropical fruits. With wine made outside of these two regions, the difference between the two is simply a labeling choice. Typically, wine makers will choose Grigio or Gris based on the style of Pinot they’ve created. So thinking about that, and noticing the use of Gris instead of Grigio, I started tasting. I usually like Pinot Gris from Willamette Valley, OR. Its a great growing climate for both Pinot Gris and Pinot Noir because of it’s extremely cool climate. Joel Gott’s definitely had some sweet citrus, maybe Meyer Lemon? I liked the floral characteristics and the really subtle peach I got, almost with a touch of creaminess that I wasn’t expecting from a bottle of wine that cost me just $10. Then I wanted my parents’ opinions. Both mom and dad loved the light, crisp wine. My mom even commented that she typically doesn’t choose a Pinot Gris because she feels like it has a grit that lingers on the palate, but she didn’t get that in this wine. I would say that the wine went lovely with our homemade mozzarella and our arugula and tomato pizza, but we were on to a different bottle of wine by then. However, I can tell you that this Pinot Gris would have – if we had another bottle or two – gone very nicely with our dinner that night. It was crisp and clean, a tiny touch of sweet fruit, and a light acidity that would have cut right through the sweet balsamic glaze. I also checked out the Joel Gott website to get a little more info about the winery, and found this video about this wine. 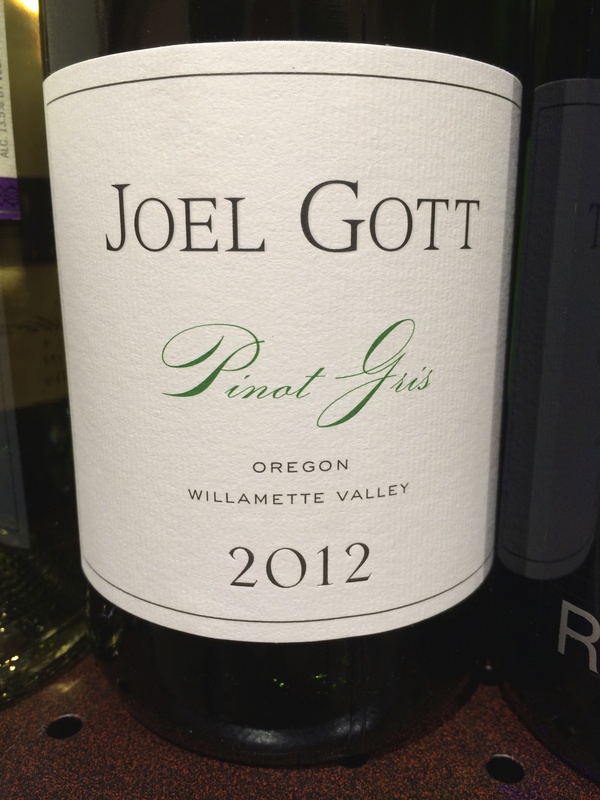 Coming straight from the winemaker, here is the Joel Gott 2012 Pinot Gris! Joel Gott Oregon Pinot Gris 2012 from Ann Pepi on Vimeo. The weather has been a little bipolar recently between super hot days (usually when I’m at work) and the wind, fog and cold, but I have another bottle of this Pinot Gris just waiting for my next summery day off. Because for $10, how could you not?